Quote Reply Topic: The first Rambler? This is where Rambler got its start. From Jeffery Company. This is an 1893 ad. Oldest one I've seen yet. I believe you're right. I just finished a book by G. Wayne Miller called Car Crazy that chronicles the early auto industry. Many of the builders came from the bicycle business. 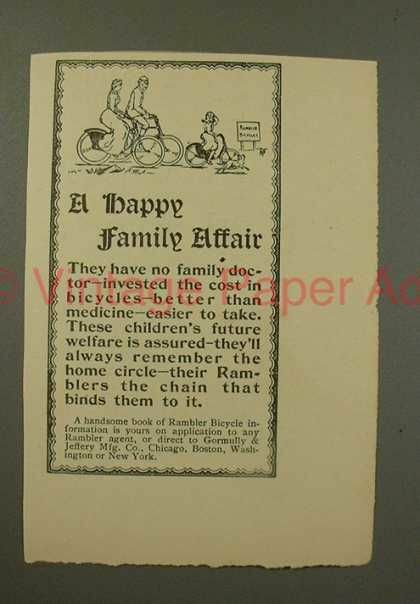 Thomas B. Jeffery was one of them and his bicycles carried the name Rambler. The earliest known to exist rambler is here on Vancouver Island 1902,wood body leather fenders tool tray single cylinder tiller steering . I have seen the car many times,know the owner and it is a wonder to behold ! 1902? Wow! Would love to see that in person. Anyone have a picture of that? I love learning about the early history of any American car manufacturer. How's this for something different as part of the 3rd annual AMC/Rambler show. 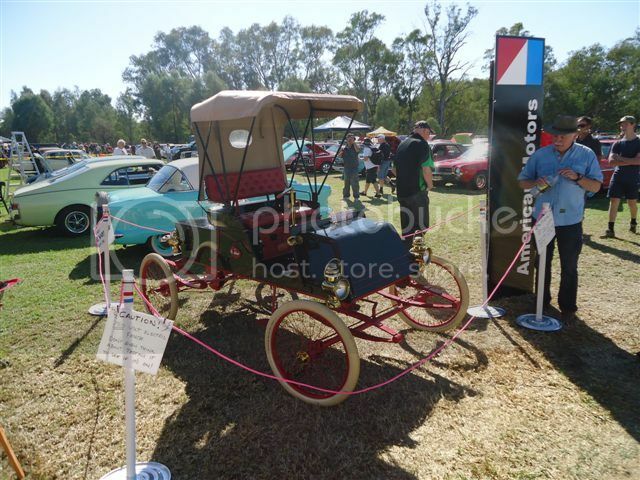 This was Gordon Pendlebury's ultra rare 1902 Rambler replica that was factory built by AMC back in the late 50’s. 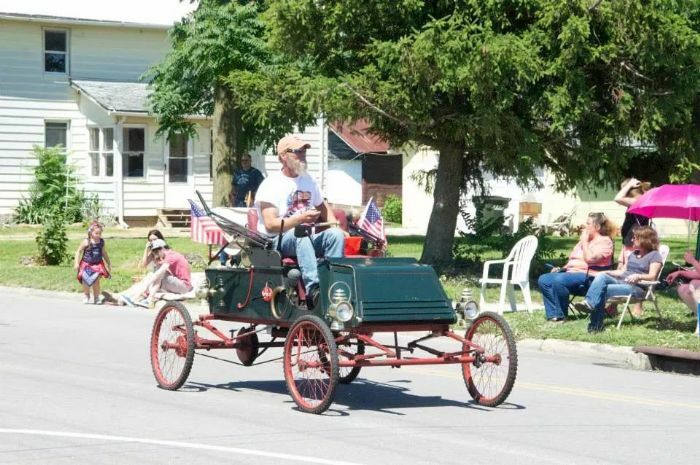 Apparently there are only 4 known surviving examples of the original 1902 Rambler which is regarded as one of the first US production line cars. Amazingly there is probably less known about the replicas then the originals but what is known is that employees, James Moore, Carl Chakmakian and John Pichurski, of the newly formed American Motors in 1954 (formed by the joining of NASH and Hudson) discovered the original drawings of the first Rambler and thought that it would make a great marketing tool to replicate that original Rambler which eventually lent its name to the new cars of AMC at the time. The idea was to have each of the dealers have one each in their showroom to promote the new Ramblers. The car has a mid engine layout. Composite body construction. Automatic clutch. Which makes it almost sound hyper-modern for a new car available in late 50’s, but the Gaslight was anything but. (Gaslight became its company nickname). Rather, as part of the late 1950s trend of replicating turn-of-the-century cars, it aimed to resurrect the 1902 Rambler, but with a twist. Actual construction of the replicas was done by the American Air Products Corporation of Fort Lauderdale, Florida, which used a 4hp air-cooled Clinton single-cylinder engine, but built the rest of the car to the 1902 specifications. Though good for just 30 MPH (which is about 50km/h so you could still get booked in a school zone), it achieved fuel mileage of 60 to 70 MPG. The only option was a "Would you like a front window with that?" option to satisfy Californian licensing laws.